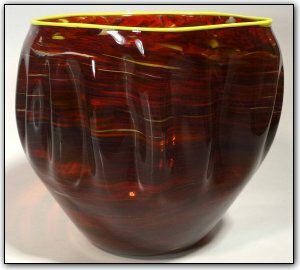 This lovely lightly fluted bowl features shades of deep red, topaz and more, with subtle variations and highlights as well as a beautiful yellow lipwrap. Such a beautiful color combination and striking form on this one-of-a-kind bowl!! !